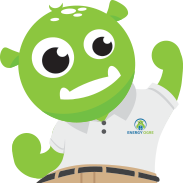 Energy Ogre provides comprehensive electricity management services. We handle the selection of your electricity provider, choose and enroll you in the correct plan, and we even handle the renewal activity for your account. These benefits are designed to allow us to select the most appropriate and best overall rate for your situation. Energy Ogre manages your interactions with the Electricity Provider. We select and enroll you in the best offer for your specific needs, proactively monitor your account for savings as market conditions change, and we stay on top of and manage your renewals. Our team monitors over a thousand offers daily and identifies the one that works best for you. We are only paid by our members--you--with no commissions or compensation from the electricity providers. Which means our only priority is focusing on your needs. Some products sell you on an idea that may cost you more than you realize. Free nights and weekends or baker's dozen are attractive offers that may not actually save you and may cost you money. 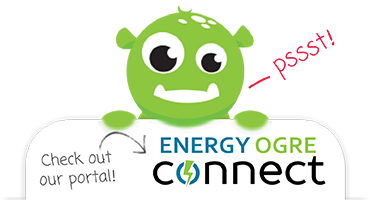 Energy Ogre calculates the actual cost of your electricity and makes sure you never overpay for power again. Never miss a renewal deadline! We monitor your electricity contract to ensure you get the best deal when the contract is ready to renew—avoiding default rates, out of contract fees, or inflated renewal rates. We also analyze your contract during its term and we will make you aware of a smart savings decision to change providers factoring in early termination fees. We understand how the market operates and we use this knowledge every day to ensure you are only paying for what you need and nothing more. No more hidden fees that increase the overall cost. We read the fine print, identify these hidden charges, so that our members avoid these traps. I wish I would have known about this company years ago! I have saved a ton of money. Thanks Energy Ogre.